From an examination of the politically-laden spectacle of George IV's visit to Edinburgh in 1822 (as stage-managed by the celebrated novelist Sir Walter Scott), to an analyses of Google Earth's role in the construction of a new kind of political map (one that is no longer primarily structured by boundary lines and coloured territories, but instead through a politics of image resolution), the remarkable essays in this book present innovative ways of understanding visual phenomena in historical and contemporary culture. Writing on the Image brings together a series of Mark Dorrian's celebrated critical writings, developed over the last twelve years. Focusing on issues of elevated vision, spectacle, atmosphere and the limits of aesthetic experience, Dorrian explores the ideological effects of images, in their specific contexts, and the politics of representation. 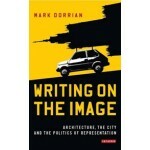 Seamlessly drawing together sources from architecture, art, literature, history, geography and film, the essays gathered here exemplify Mark Dorrian's pioneering 'post-disciplinary' approach to visual culture. Writing on the Image brings together a series of Mark Dorrian's celebrated critical writings, developed over the last twelve years. 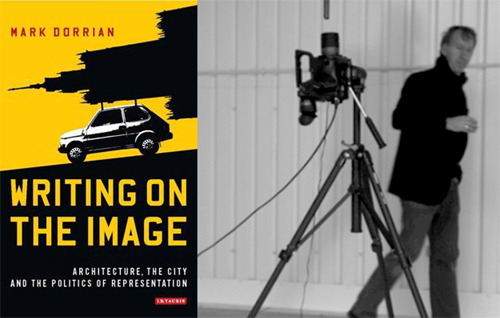 Focusing on issues of elevated vision, spectacle, atmosphere and the limits of aesthetic experience, Dorrian explores the ideological effects of images, in their specific contexts, and the politics of representation. Seamlessly drawing together sources from architecture, art, literature, history, geography and film, the essays gathered here exemplify Mark Dorrian's pioneering 'post-disciplinary' approach to visual culture. Featuring a Foreword by Professor Paul Carter, and an Afterword by Dr Ella Chmielewska, Writing on the Image begins with a sequence of four historically-oriented chapters that lead onto the second half of the book, which deals with key events in architectural, urban and visual culture over the past decade. Whether it be an eighteenth-century engraving that depicts a magnified drop of tap water as an alien planet swarming with monstrous creatures; an artwork showing a car with the silhouette of a building mounted on its roof; the covering up of a tapestry in the UN before a televised news conference; or a large-scale satellite image that is affixed to the basement floor of a public building, vertiginously dissolving its solidity, Dorrian finds each artefact or event he examines to be eloquent in its ability to problematise a larger set of relations beyond itself.